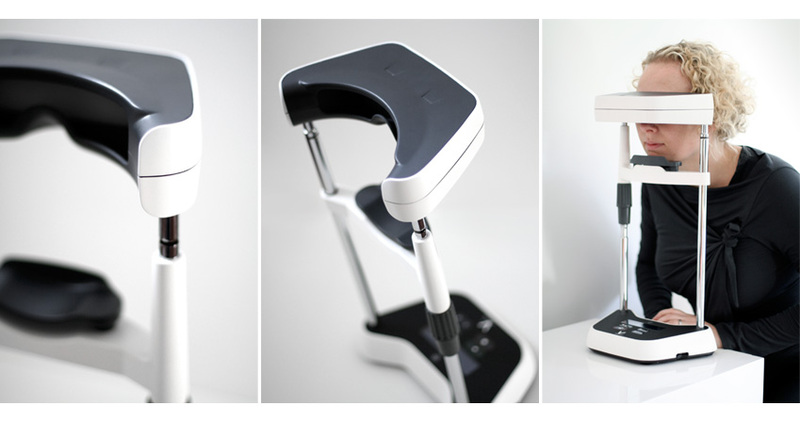 Intended to live comfortably within the ophthalmologist's office, this device provides a simple solution for AMD treatment. 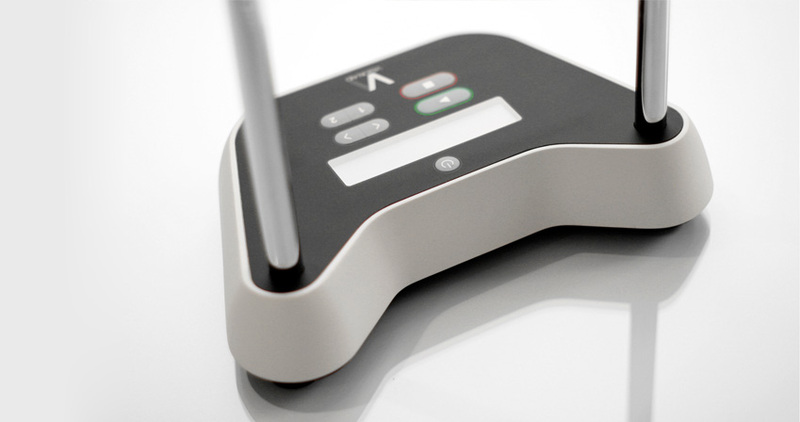 The session is controlled using the simple membrane interface, oriented towards the ophthalmologist and the unit is adjustable to accomodate various patients. The clean wipe-down surfaces help the ophthalmologist maintain a sterile device across patient treatments. 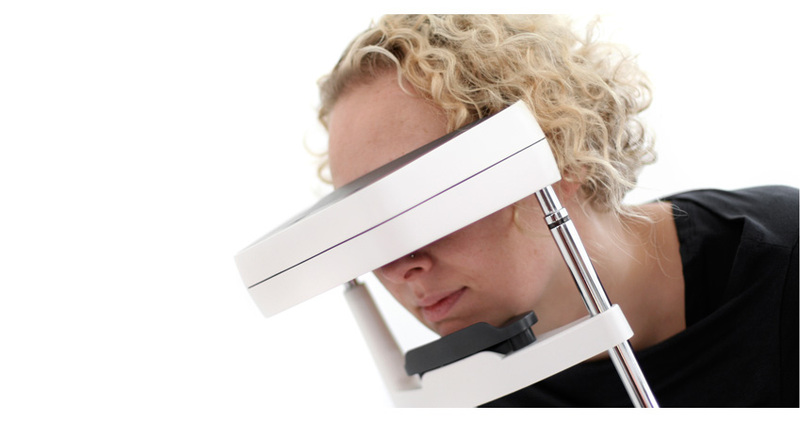 Integrated LED's in the top housing provide guidance for setting the appropriate pupillary distance during patient treatment.